Leverage some social tips from True Detective in your sales strategy, and tell a compelling story with the numbers in this post from LinkedIn Sales Solutions. If the season finale of True Detective is still fresh in your mind, we can utilize some lessons from the show with prospect tracking. True Detective's slow and steady approach to storytelling pushes against the conventional speed of information in today's world -- but it still serves as a reminder that sophisticated, elaborate research will help you better understand your prospects. Here’s how you can leverage some good social detective work in your sales strategy, and tell a compelling story with the numbers. The overarching storyline of Season 1 spans almost two decades, charting the fates of both Kohle and his partner Martin Hart. Events in 1995 left lasting impressions on their character, shaping their lives and philosophies for years to come. Set up job change alerts – one of the easiest trigger events to track, job changes can open you to new connections and opportunities if quickly pursued. Some of the best sources for new business come from clients in new companies. Organize profiles via common interests and/or tags – if there are widespread changes within an industry, chances are good that several prospects are following the trends themselves. 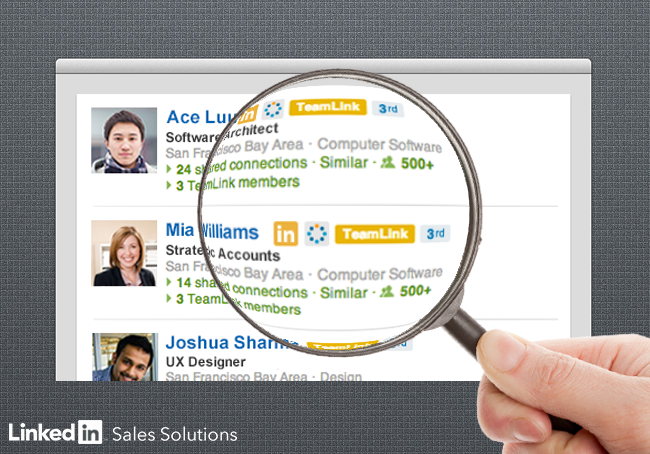 Organizing your profiles by industry or tag can help track multiple engagements between like-minded professionals. Keep the information and insight flowing – sustained communication over time helps keep both parties aware of new opportunities on the sales frontier. True Detective’s storytelling drew much acclaim from television critics and viewers, transcending the typical television cop show by weaving philosophical and religious concepts into its development. The show plays with the fourth-wall concept, inviting readers to maneuver the minds of Hart and Cohle alongside the detective interviewers. Craft compelling messages and utilize them in strategic InMails – move beyond the boilerplate, and add personal anecdotes that tie to the client’s interests or concerns. Timing – identify which times of day prospects are most active, and schedule messages to be seen during those periods. Hart and Cohle guide the interviewers (and the viewers) through the various scenarios from their past, but those with keen ears eventually start to distrust the detectives’ stories as told. The narration becomes unreliable and scattershot – especially as Cohle’s tangential thoughts and hallucinations are woven into the story. Track lead recommendations -- pull up the prospect’s account and identify five people within the target company that have provided recommendations. Follow prospect favorite groups, and gauge activity within them -- watch the things they are commenting about for content ideas. Use the right hand rail – provides quick access to other profiles that the prospect has viewed, for additional opportunities. True Detective’s mystery – woven with philosophical musings from Detective Cohle – expanded beyond the case that the main characters pursued. These strategies can help you expand your prospecting reach and share a powerful story to attract new leads. Visit us on Twitter @LinkedInSelling for more social selling detective work.